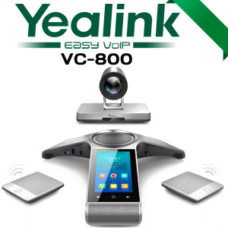 Yealink VC500 Video Conferencing System is a sleek, compact device including an integrated HD camera and a codec.VC500 offers two packages to fit in diversified needs. VC500 with wireless Mic pods and Wired Mic pods.VC500 Wired include 5-inch touchable VCS phone backed by Harman speaker and Yealink Noise Proof technology.The H.265 protocol ensures less bandwidth and maintains a high level of quality.VC500 offer insurance against up to 30 % of packet loss and provide stable video transmission.Yealink VC500 Conference System is a powerful video conferencing endpoint that is optimized for small and medium meeting rooms. Yealink VC500 Dubai is a dynamic, highly effective Video conferencing system presents distinctive options to offer customers with spectacular conferencing experience without clutter. The VC500 coming with 5X optical zoom camera and PTZ performance.Yealink VC500 provide 1080P/60 FPS video calls, making your small business extremely interactive. The H265/ HEVC compression dramatically scale back the bandwidth requirement and resist as much as 30 % packet loss resulting from poor web connectivity. 512 KB dedicated bandwidth is way sufficient for conducting a wonderful video meeting. The inbuilt Opus, and HD voice – backed by Harman audio system guarantee an excessive level of audio at high quality.Yealink Video Conferencing Systems are Identified for technologically superior options and out of the box thinking. The VC500 camera can simply deploy on top of the usual LED TV. The VC500 cameras are optimised for even low light situations. 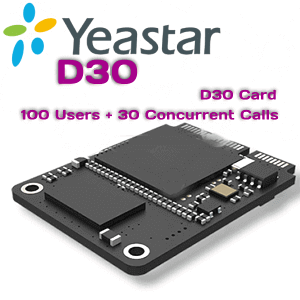 The Yealink VC500 obtainable in 2 models. This model using wi-fi DECT technology and provide 2 wi-fi mic pods. It optimizes mobility in addition to the neat connection while offering steady voice transmission. This model contains the touch-sensitive CP920 Conference Phone backed by 10W Harman audio system.It permits the person to handle every part from the conference by its touchscreen.